“I had lost all the hope in life, having droped out of school in S.5 (A-level). However, I got my hope rejuvenated in December 2015, having undergone a both ICT and WEP training at U-TOUCH Gulu Center. I found the Entrepreneurship lesson quite adoring, and I wonderful started a mobile saloon venture. I could I initiate calls, by calling friends about my mobile services, as they needed not to get out of their homes in quest for saloon service. In a day I could at least get a client. I started the venture with only Ugx 15,000 because I had even missed out, on the small grant U-TOUCH awarded select WEP trainees. After 3 months, in March I had caught some market shares of clients in Gulu town; and to some extend it became overwhelming in that, the customer calls per day grew up and I could not now manage all calls in a day. I had to venture more into, a beauty shop for servicing my customers; I opened up a static service point, the saloon shop. I placed my shop amidst competitors, but to win the race, I had one unique offer, and that is to refund transport/boda boda cost incurred by clients that call me to go to their places. 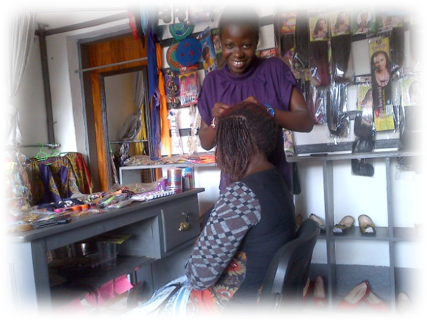 Now I own a fully stocked beauty saloon for which I daily work on 5-10 women customers, each paying an average of UGX 10,000. I have employed an Assistant, a trainee, who helps me achieve a daily target of 10 customers in a day. 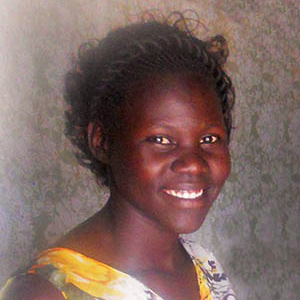 Aneno was working as a facilitator at an NGO called the Foundation for Women Affected by Conflict . After attending U-TOUCH training, she became much more effective in her work and got a promotion. Okello was a records clerk in the Ugandan army and produced reports using a typewriter. 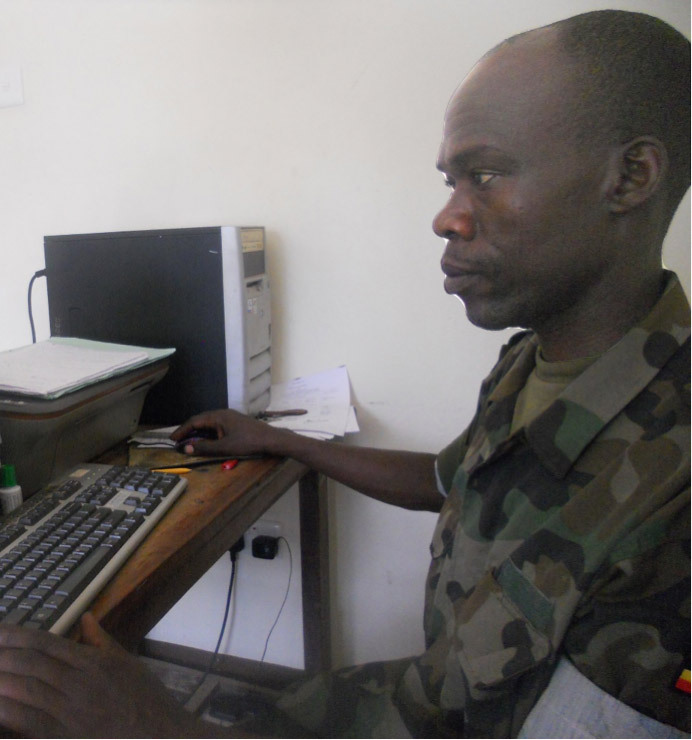 After receiving U-TOUCH training in Pader, he became the Chief Data Clerk at a military hospital. Now, Okello uses all the computer office and productivity tools he learned at U-TOUCH on a daily basis. He has big plans for his future. 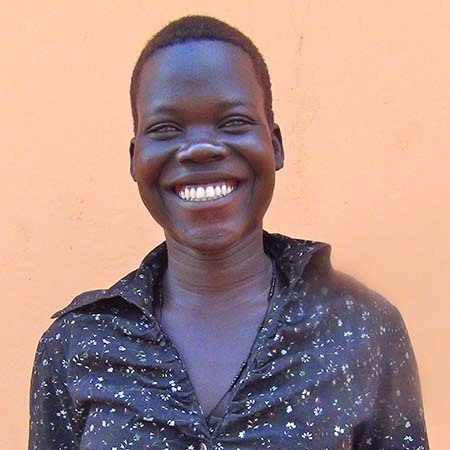 Although Irene was a skilled nurse in a Kitgum hospital, without the necessary income to live independently she and her two children lived with her mother. 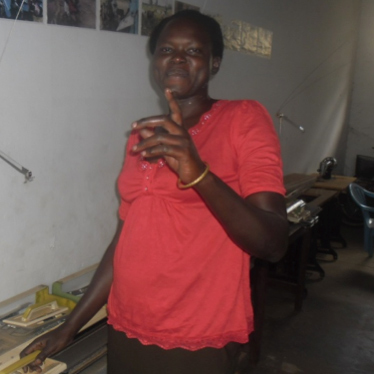 Without the funds for Irene’s children to attend school or money for food, the family lived on an austere budget until Irene began studying at the Kitgum U-TOUCH Digital Center. After her training life changed dramatically for Irene and her family. 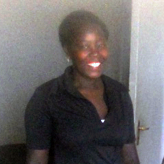 With her new ICT and life skills in addition to entrepreneurship skills, and support from the U-TOUCH staff, Irene gave up her employment at the hospital to open her own business. 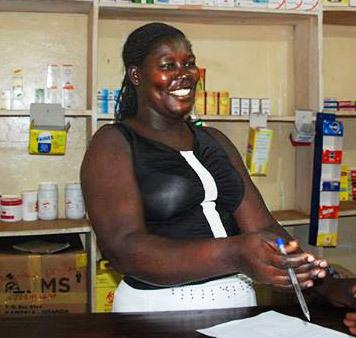 By using her knowledge as a nurse and new skills Irene opened her own drug store in Kitgum. Irene now educates the community about health and medications and glows with pride. Akanyo was unemployed and dreamed of a better life as a secretary. After completing her training at the Pader U-TOUCH Digital Center, she became a secretary working with the Education Department of the district government. Her responsibilities include managing data for the district and preparing monthly reports. Atim Gracious was an unemployed woman from Patongo, about 40 km from Pader. After graduating from the Pader U-TOUCH Digital Center IT training she returned home and, with money from her father, started her own business providing computer training and typing, printing, photocopying, binding and scanning. Her clients include schools, NGOs, churches and individuals from all over the region. We met Sebastian in 2009, when he was 11 years old. 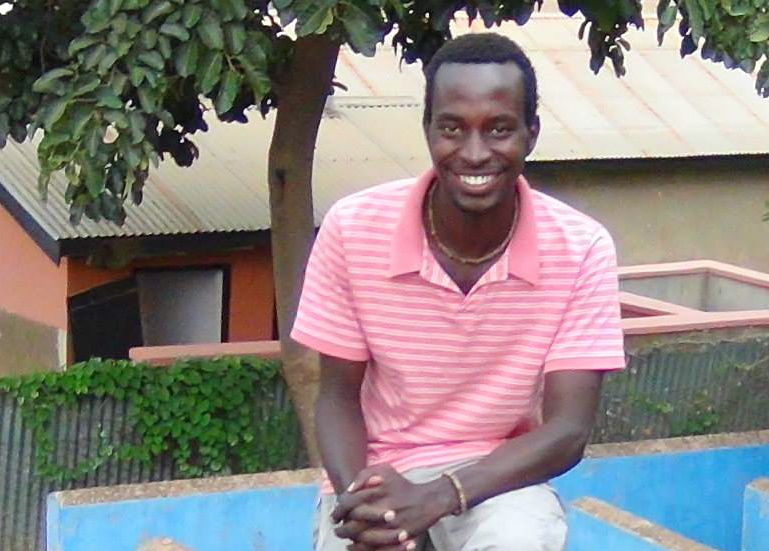 He had lost both parents in the LRA War and was living with his grandmother and seven cousins. We enrolled Sebastian at Negri Secondary School where he was named a “bright and excellent” student, eager to learn. With his cousin Julius, Sebastian built a reading hut, where he practiced to become a proficient reader and scholar. On day, Sebastian figured out how to wire the family’s kitchen hut with a light bulb so that his grandma could cook after dark. Then, while still 11 years old and never having seen a computer or television, Sebastian built a working radio from a collection of junk parts! Sebastian loved coming to the U-TOUCH Digital Center to study using the Internet. After ranking #1 in his class for four years and one of five top students in his entire district on a national exam Sebastian was invited to attend the London Colleges of St. Lawrence where he has scored top in S-5, equivalent to US 11th Grade. He is studying the sciences and hopes to become a doctor to help his community and country with the extreme health issues with which they wrestle. Sebastian is currently applying to US schools for his undergraduate education. He met with the US Embassy who is helping him with the process. And U-TOUCH has provided him a laptop for his schoolwork as well as for studying for the SAT’s. While I been involved with U-TOUCH for five years it was not until this past summer that I finally had the opportunity to travel to Uganda. I spent three weeks traveling to each of the five U-TOUCH Digital Centers and meeting the dedicated staff with whom I had been conversing with via email and Skype. My mission for the trip was to provide mentoring and support to the staff on the ground in Uganda. From the warm greeting at the airport by Charles, our former Project Coordinator newly appointed as U-TOUCH Country Director, to the farewell party at the end of our visit, I was enchanted by the grace and warmth of the Ugandan people. As I traveled to each of the centers to observe classes and speak with the beneficiaries the challenges related to the existing infrastructure became immediately apparent. With roads in poor condition and constant power outages things just take more time. On a positive note there are signs of growth everywhere you look; extensive road construction, a new hydroelectric plant and increased availability of the Internet. I was able to keep in touch with friends and family via Facebook using a basic smartphone and inexpensive data while bumping along on dirt roads in between villages. Speaking with beneficiaries and hearing their stories first-hand was a highlight of the trip. We know that the U-TOUCH programs make a difference, that people are getting jobs, starting businesses and otherwise improving their livelihoods; but there is something special about seeing the light in a young woman’s eyes as she describes how she went from not believing she could touch a computer to becoming proficient and ultimately obtaining a job. The ever-present children of Uganda tug at my heart. From children who appeared as young as 3 years old walking to get water, to the children in colorful uniforms playing in the schoolyards, to the children unable to afford school fees that congregate just outside the fenced schoolyard, these children are the future of Uganda. Without education the future for these children is bleak, indeed. One way to help the children is through direct aid, such as sponsored student programs; another way is to skill the parents so that they can provide for their own families. Time and time again U-TOUCH graduates shared that they were now able to afford the school fees for their children. I have never been more thankful for the generous support of our donors than when I was in Uganda surrounded by the many people that have benefitted from U-TOUCH programs. Thank you for all you do!